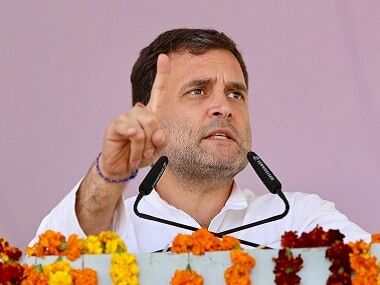 Congress president Rahul Gandhi will hold a joint rally with party general secretary Priyanka Gandhi in Uttar Pradesh's Fatehpur Sikri on Monday. Rahul will also begin his three-day poll campaign in Kerala and is scheduled to address a rally in Thiruvananthapuram on Monday. 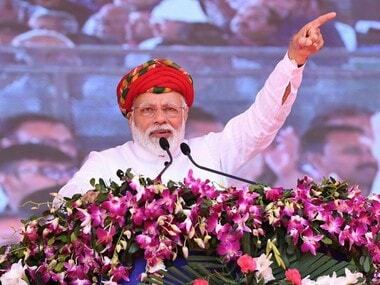 The Congress president will also address rallies in Gujarat's Bhavnagar and Maharashtra's Nanded. Meanwhile, Priyanka will also begin her two-day visit to Uttar Pradesh's Amethi on Monday. She is likely to hold meetings with party workers and also undertake a tour of the town which is one of the constituencies Rahul is contesting from. On Sunday, Priyanka campaigned for the Congress candidate in Silchar's Assam. Coming down heavily on the BJP, she said that the Constitution is not being respected and an attempt is being made to destroy it by the present dispensation. 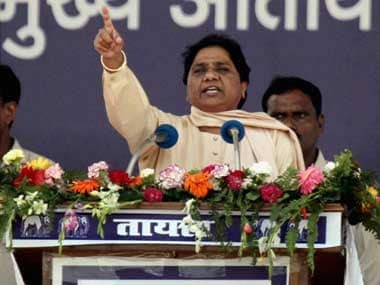 During the roadshow, she also said that Prime Minister Narendra Modi has toured the world over, but hardly spent time in his own constituency in Varanasi. 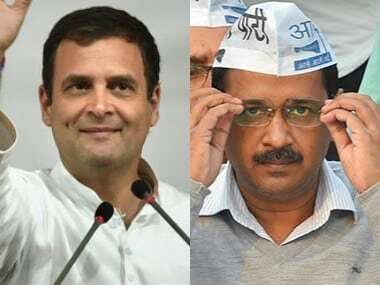 Lekhi, who is a sitting Lok Sabha MP from New Delhi constituency, in her plea alleged that Rahul has attributed his personal remarks to the top court and tried to create prejudice. Senior advocate Mukul Rohatgi, appearing for Lekhi, told the bench that the Congress president reportedly made a remark that the "Supreme Court said chowkidaar chor hai" in the verdict. The Congress president had on 10 April claimed that the apex court has made it “clear” that Narendra Modi “committed a theft”. The first episode of the much-awaited finale season of Game of Thrones premiered at 6:30 am sharp, with a live-stream of the entire episode. The short episode (merely 50 minutes long), as compared to some of the others in this season that have been reported to be around 90 minutes, is titled Winter is Here. ​#GameofThrones is now the top trend on Twitter as fans and viewers discuss the series of events and updates. Our full review of the first episode will be up shortly. Samajwadi Party leader Azam Khan on Sunday stoked controversy with an "underwear" jibe against actor-turned-politician Jaya Prada, who is the BJP candidate pitted against him from the Rampur Lok Sabha constituency. However, Khan has denied the allegations. "Jaya Prada ke neeche ka underwear khaki rang ka hai," Khan can purportedly be heard saying in a video widely shared on social media. Chairperson for the National Commission for Women (NCW) Rekha Sharma took cognisance of a tweet by a Twitter user, who also uploaded the video of Khan. 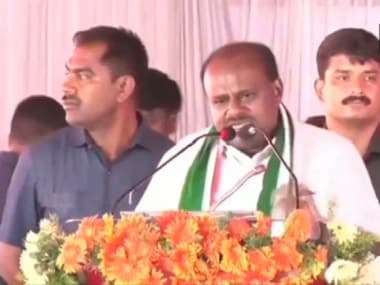 Calling his remarks "extremely disgraceful", she said the NCW will send him a show cause notice to him and also request the Election Commission to bar him from contesting the election. Khan is believed to have made the remarks while addressing a campaign rally at Rampur, which will vote on 23 April in the third phase of the Lok Sabha election. The pilots' body of Jet Airways, the National Aviator's Guild (NAG), on Sunday deferred its "no flying" call to a later date as when the management is scheduled to meet lenders on Monday. Earlier, the Guild, which has around 1,100 pilots as its members, decided to stop flying from 15 April in protest against non-payment of salaries since March. "It has come to our notice that there is a critical meeting planned for tomorrow (Monday) morning between the airline management and SBI. In light of the meeting, the members have requested through their team leaders that the call of 'No Pay No Work' be deferred to give the airline a chance of survival. Accordingly, as requested, the committee would like to inform all that the decision stands deferred for the time being," the Guild committee said in a late evening communication to its members. However, all pilots are still requested to be present at the Siroya Centre at 9.30 am on Monday in their uniforms, it said. The Indian squad for the ICC Cricket World Cup 2019 will be announced on Monday. The national selectors will meet in Mumbai to pick the team for the upcoming showpiece event. ICC had set an 23 April deadline to announce the squad for the World Cup, but BCCI has opted to declare the team much ahead of the final date of submission. So far, only New Zealand have announced their 15-member squad for the 30 May-14 July tournament. Virat Kohli's Royal Challengers Bangalore will now look for their second consecutive win, having finally got off the mark with a victory against Kings XI Punjab on Saturday. RCB will take on Mumbai Indians at the Wankhede Stadium on Monday. The Rohit Sharma side lost their previous match against Rajasthan Royals by four wickets. Mumbai Indians can move to the second spot with a win over RCB. Apple and Qualcomm's long-drawn patent saga ceases to see an end. Both companies are expected to resume their battle at a court in San Diego on Monday. Apple has disputed Qualcomm's legal right to charge royalties for use of its patents, while Qualcomm is trying to uphold its bargain that Apple pay a percentage of the iPhone's revenue in return for the use of Qualcomm patents, as a result of which both stakeholders have filed lawsuits in multiple countries.